M. EL PASO, TX – Henry J. Paoli, a Shareholder at the ScottHulse law firm, has been named to the Lawyers of Color Inaugural Hot List for the Southwest Region, which recognizes early- to mid-career attorneys who are excelling in the legal profession. The honorees were chosen through a two-pronged process, including a selection committee comprised of the editorial staff and advisers, as well as law school fellows and interns, who spent months reviewing nominations and researching bar publications and legal blogs in order to identify promising candidates. In addition, nominations from mentors, peers, and colleagues were accepted. Editorial picks were also based on research of attorneys who had noteworthy accomplishments or were active in legal pipeline initiatives. Lawyers of Color produces publications for U.S. lawyers of South Asian, Pacific Asian, Hispanic, Native American, and African heritage and a core mission is the promotion of exceptional minority lawyers on their social media platforms. Paoli practices in the areas of litigation, appeals, and construction law. 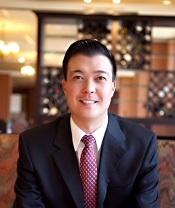 He has experience in handling various types of commercial lawsuits, including breach of contract claims, construction claims, and disputes between business entities. He regularly advises construction companies, contractors, and real estate professionals. Paoli received his J.D. from Baylor University School of Law. His experience in the area of appeals includes the representation of clients in numerous appellate courts, including the Eighth District Court of Appeals in El Paso, the Supreme Court of Texas in Austin, and the United States Courts of Appeals for the Fifth and Eighth Circuits.